Hal Naragon is a baseball treasure. At age 90, the former major league catcher spun baseball yarns of catching Bob Feller, playing in the 1954 World Series, and later coaching the Detroit Tigers to 1968 World Series victory on the Baseball Happenings Podcast. Naragon signed with the Cleveland Indians after attending an open tryout during the summer of 1946; however, there was just one problem — he was still in high school. This led to his first meeting with the legendary Bill Veeck. “I found that when I filled out the application it said you had to be out of high school,” Naragon said during his 2019 interview. “They wanted to sign me and I got nervous then because I knew that I shouldn't have been there, but my dad said that we would go back up and talk to Mr. Veeck. Veeck’s keen eye would not allow Naragon to walk away that quickly. He extended an olive branch to the elder Naragon, and the two came to a gentleman’s agreement for the Indians to have the first crack at his son when he graduated. 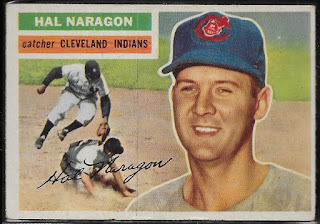 Naragon kept his word and signed with the Indians in 1947. He moved quickly through their minor league system, and by the time he was 22 he was in the major leagues. He eagerly recalled the September day in 1951 when he singled off Virgil Trucks in his first major league at-bat. He played a few more games during his September call-up, and then the Marines quickly grabbed him to serve in the Korean War. While many players suffered from losing their peak years to military service, Naragon returned right in time to take part in Cleveland’s record-breaking 1954 World Series run. Now that he had an entire big league season in front of him, Naragon was able to learn from the best in the game. His pitching staff included Hall of Famers Bob Feller, Bob Lemon, Early Wynn, and Hal Newhouser. With that staff, it was easy to understand why the Indians won a then-record 111 games in 1954. For a rookie, catching Feller was one of the highlights of his career. “When I saw Feller he wasn't really in his prime, but still he had he had a good movement on his ball, a good curveball, and his fastball still was moving,” he said. 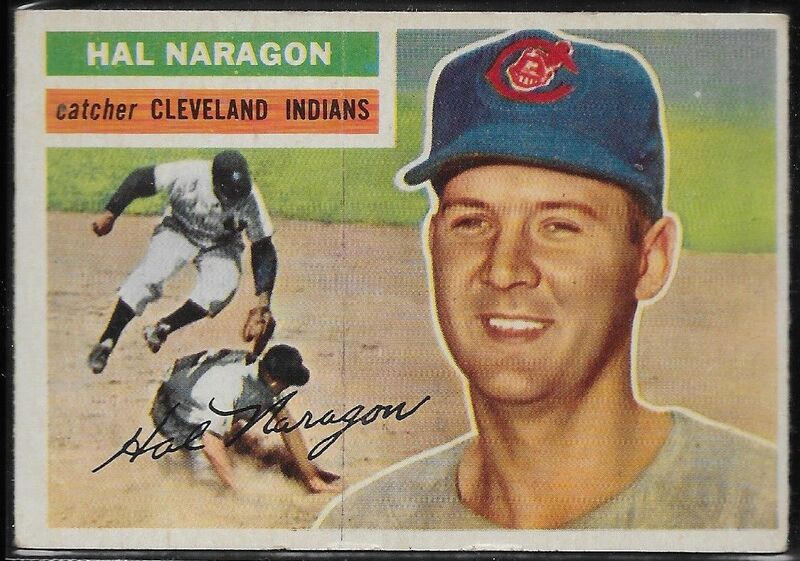 Naragon hit .238 as Jim Hegan’s backup en route to the Indians facing the New York Giants in the 1954 World Series. He did not figure he would get much action, but with the Indians behind in Game Three, manager Al Lopez summoned Naragon as a late inning defensive replacement. While the Giants swept the Indians courtesy of Dusty Rhodes peppering the short right field porch in the Polo Grounds, I couldn’t bring up the 1954 World Series without asking Naragon about perhaps the most famous catch of all-time. We revisited Willie Mays’ devastating over the shoulder grab of Vic Wertz smash during Game One. “You didn't think that much about it at first of the catch,” he said. “He did turn around and throw a nice ball into the infield. I don't know whether we even talked about it, but you knew Vic Wertz hit the ball and you thought, ‘Oh my goodness this is going to go out the ballpark.’ Well, then Mays catches it and you just say, 'Well, he's a good outfielder.'" While Naragon said that he felt Larry Doby made tougher catches than Mays' World Series spectacle, years later he was able to recognize its historical greatness. Throughout his time with the Indians, Naragon built deep connections with many of his teammates, bonded by their train rides traversing the American League. He shared a lesser-known World Series story that involved one of his early Indians mentors, Dale Mitchell. A career .312 hitter, Mitchell unfortunately, is best recognized for making the last out of Don Larsen’s 1956 World Series perfect game. Well after the game, the first person Mitchell reached out to was his friend, Hal Naragon. The nonagenarian reached deep into his bag of stories to share a lighthearted tale of an unintentional slip of the tongue he had with Larry Doby. Fortunately, his pioneering teammate found humor during the awkward moment. Playing with the Indians in the second half of the 1950s decade as they started to rebuild after their Hall of Fame stars retired, Naragon was able to witness their young stars blossom. Cleveland’s prized pitching prospect was Herb Score, a flame-throwing lefty that many expected to carry on Bob Feller’s legacy. In his first two seasons, Score led the American League in strikeouts with a 36-19 won-loss record. As 1957 started, Score looked like he was en route to another spectacular season; however, that all changed when New York Yankees infielder Gil McDougald stepped to the plate during a May 7th game. McDougald sent a line drive back through the box that smashed Score directly in the face. He watched with his teammates in horror as a bloody Score tried to hold his face together. The gruesome injury kept Score out for the rest of the season and derailed a once promising career. Naragon insisted that it was arm troubles and not the line drive that kept him from regaining his mound dominance. Score was not the only talent that Naragon watched bloom during his Cleveland tenure. Both Roger Maris and Rocky Colavito were rookies that Dale Mitchell told him to keep his eyes on, both impressing with their power hitting and defense. While he had a multitude of fond memories of the superstars he played with in Cleveland, he was also excited to share a favorite Ted Williams story. It was one that had nothing to do with his on-field exploits. In 1959, the Indians traded Naragon to the Washington Senators where he stayed with the franchise as they moved to Minnesota in 1961. After finishing his playing career in 1962, he stayed with the Twins as a coach, helping to guide them to the 1965 World Series where they lost in seven games to the Los Angeles Dodgers. After his success with the Twins, he followed his good friend and pitching coach Johnny Sain to the Detroit Tigers. After two unsuccessful trips as a player and a coach, he was finally able to get a World Series ring when the Tigers won the 1968 World Series. In 2018, as the oldest living alumni of the 1968 championship team, the Tigers invited Naragon and his wife to Detroit to celebrate the 50th anniversary of their World Series victory. He basked in the opportunity to rejoice once more with his former players. 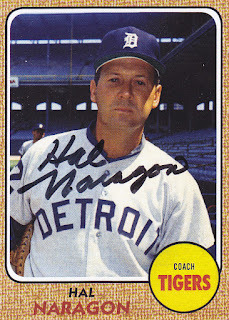 Naragon left coaching after the 1969 season to take over a local sporting goods store in his hometown of Barberton, Ohio. He ran the store from 1974 until his 1990 retirement. The town paid a massive tribute to their native son when they named Barberton High School’s baseball field Naragon Field in his honor in 2006.